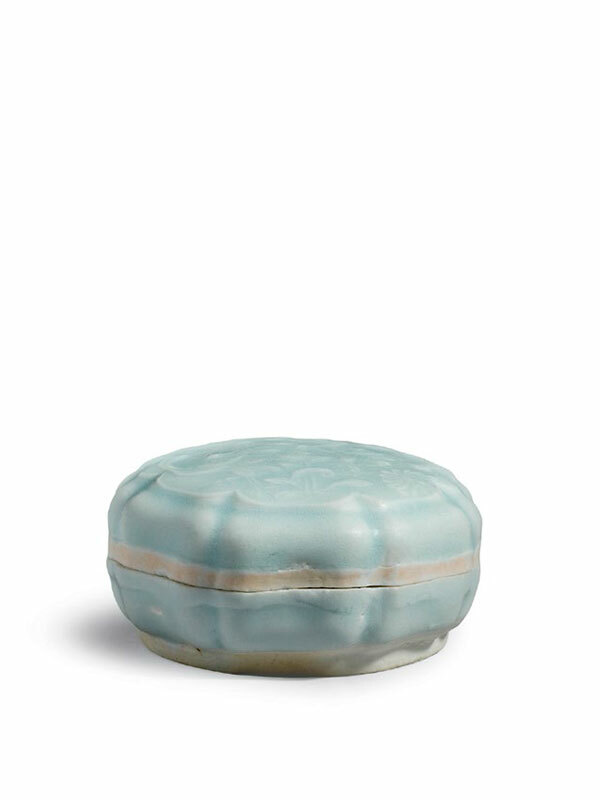 A qingbai porcelain box of eight-lobed form with a corresponding raised panel on the top. The slightly domed cover is mould-impressed in low relief with two cranes, standing looking at each other across a lotus pond. The feathers of the cranes and the flowering lotus, chrysanthemums and aquatic plants are vividly depicted in detail. 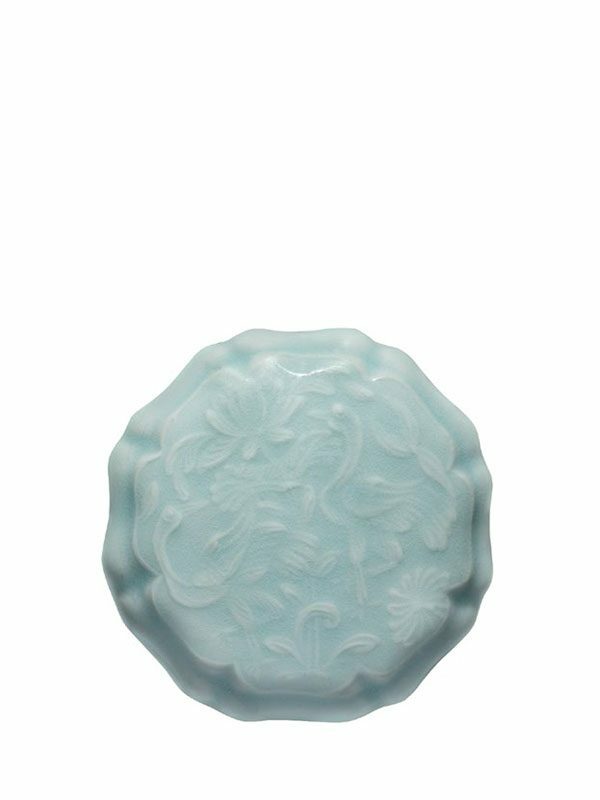 The box is covered in a thin, translucent pale blue glaze, leaving the rims and the base uncovered, revealing the sugary white body and some characteristic brown and black firing marks on the base.